Until recently, many scientists spoke of climate change mainly as a “threat,” sometime in the future. But it is increasingly clear that we already live in the era of human-induced climate change, with a growing frequency of weather and climate extremes like heat waves, droughts, floods and fires. Today we will try to explain what’s going on with the fact that we experience very little or no rain at all; in certain places in the world such as Russia, the USA, Europe some part of Africa and in Asia. Future precipitation trends, based on climate model projections for the coming fifth assessment from the Intergovernmental Panel on Climate Change, indicate that droughts of this length and severity will be commonplace through the end of the century unless human-induced carbon emissions are significantly reduced. Assuming business is as usual, each of the next 80 years in the American West is expected to see less rainfall than the average of the five years of the drought that hit the region from 2000 to 2004. Recently, Water Currents’ own Jay Famiglietti came to Washington to testify before Congress on the importance of supporting research on drought and hydrology science. That extreme drought had profound consequences for carbon sequestration, agricultural productivity and water resources: plants, for example, took in only half the carbon dioxide they normally do, thanks to a drought-induced drop in photosynthesis. In the drought’s worst year, Western crop yields were down by 13 percent, with many local cases of complete crop failure. Major river basins showed 5 percent to 50 percent reductions in flow. These reductions persisted up to three years after the drought ended, because the lakes and reservoirs that feed them needed several years of average rainfall to return to pre drought levels. Famiglietti told Congress, “Drought is an insidious and patient killer of food and fuel crops, of livestock, of flora and fauna, and of humans, and it has emerged as a major threat to our nation’s food, health, economic, and water security.” He added that these impacts might be a greater threat in the coming decades since temperatures are expected to go up. “In spite of its enormous emotional and financial toll, current investment in drought forecasting, monitoring, and planning tools remains far too small to affect timely progress toward critical improvements,” Famiglietti warned. Famiglietti calls for a national-scale drought monitoring and prediction strategy. He said we need to build on recent successes, which include greater coordination of research, a drought early-warning system, and collaboration with the U.S. Drought Monitor. The cause of droughts is easily understood, but hard to prevent. Depending on the location, crop failures, famine, high food prices, and deaths can occur. One of the scariest parts of a drought is the onset time. Unlike other forms of severe weather or natural disasters, droughts often develop slowly. 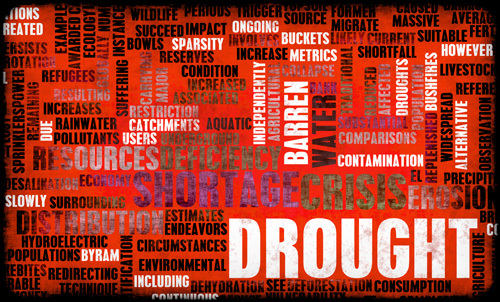 Droughts are caused by a depletion of precipitation over time. 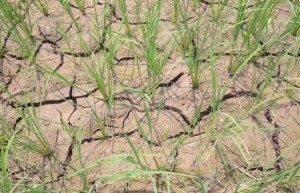 Unlike a dry spell, prolonged lack of rain will cause regions around the world to slowly dry out. Because of the slow onset of droughts, their cost is often only estimated. Frequently, droughts are billion dollar weather events and are one of the top three threats to population in the world (along with famine and flooding, as a result of the droughts). The frequency of droughts in the United States is literally every year. In other words, somewhere in the US in any given year, a drought is occurring. Droughts are completely natural, but their devastation can be far-reaching and severe. Atmospheric conditions such as climate change, ocean temperatures, changes in the jet stream, and changes in the local landscape are all culprits in the long story of the causes of droughts. Drought can create Dust Bowls. One of the worst climatic events in the history of the United States was the “Dust Bowl” drought which devastated the United States central states region known as the Great Plains. 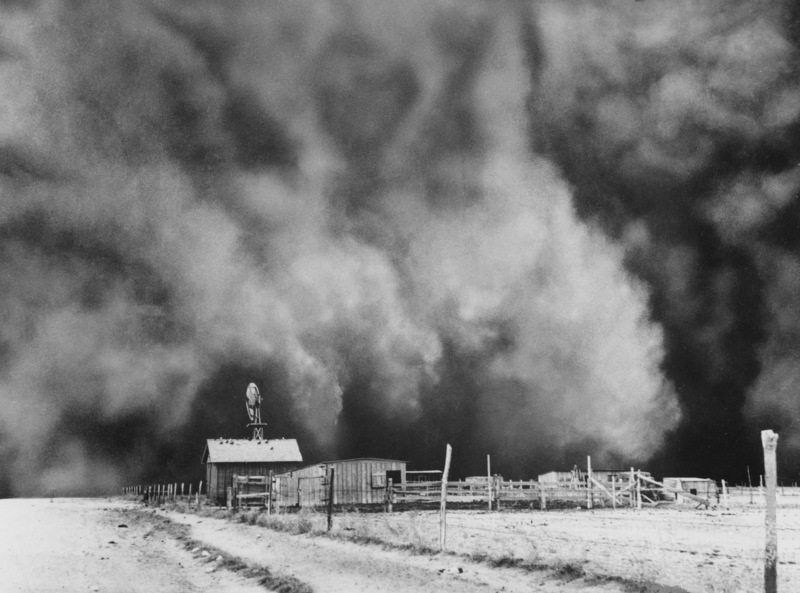 The Dust Bowl all but dried up an already depressed American economy in the 1930’s creating millions of dollars in damages. With modern technology, NASA now believes the Jet Stream was partly responsible for this drought. “Climate change is projected to increase the frequency, intensity, and duration of droughts, with impacts on many sectors, in particular food, water, and energy,” warned World Meteorological Organisation (WMO) Secretary-General Michel Jarraud. In Punjab, India, rainfall was recorded 70 per cent below normal, he said. The southwest monsoon season that began in early June in India brought deficient rainfall in half of the 624 districts through the end of July. From June through August — the first half of the monsoon season — total average seasonal rainfall was just 81 per cent of the Long Term Average, while in the northwest region of the country, cumulative rainfall was 65 per cent of the long-term average. In India, monsoon rainfall less than 90 per cent of Long-Term Average constitutes drought, the U.N. said. Underlining the severity and reach of the drought and its potential impact on global food prices, one quarter of the U.S was experiencing exceptional drought while the entire country was facing its longest 12 month period in a drought since 1895. 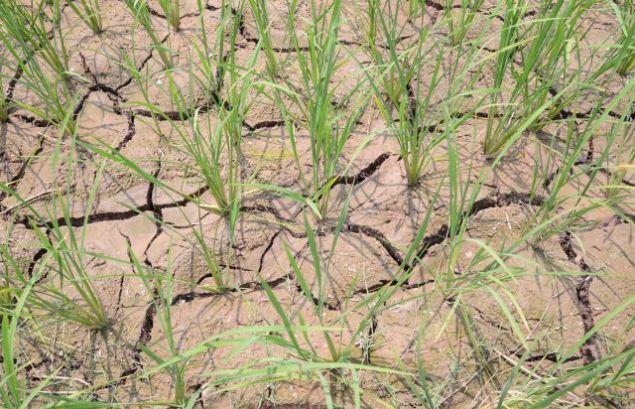 The U.N. agency on weather, climate and water added that the drought gripping the U.S. and the ripple effects on global food markets underline the vulnerability of the inter-connected world to a natural hazard that is expected to increase in the future. According to the U.S. Drought Monitor, 62.9 per cent of the U.S. was experiencing moderate to exceptional drought as of the end of July. The percent area of the country in the worst drought categories (extreme to exceptional drought) doubled, from 10 per cent in June to 22 per cent in July. Extreme weather has visited Kevin Mainord’s farm business twice in the past two years. In 2011 a wall of water deluged his corn and soybean fields after US authorities blasted a levee to relieve flooding on the Mississippi river. This year brought drought and weeks of devastating heat. Scientists have long warned of more frequent floods and droughts as the world’s climate changes. But for the farmers, global warming is bogus. “It’s more God and nature’s dictates, rather than a man-made event,” the Missouri’s farmers said this week as he harvested a corn crop one-quarter of its normal size. “Some of the things people were talking about in climate change are really starting to come through in the climate signal”. “Warmer conditions, more variable rainfall, more extreme events – things we have talked about are actually appearing “. Other changes to be expected in a warmer environment, such as new pest species, as a fingerprint of climate change; said Karen Garrett, plant pathology professor at Kansas State University. New research has found; as greenhouse gas emissions nearly double the likelihood of severe weather events happening over the next 100 years. The South Pacific Rain Band is the most persistent band in the southern hemisphere. It stretches right through the Pacific eastward to French Polynesia. While occasionally, the rain band moves north as weather events push it out of the way, those events are becoming far more frequent and are lasting for longer, said the scientists. According to the group, during moderate El Nino events with warming in the equatorial eastern Pacific, the rain band typically moves north about 300km. Countries located within the band’s normal position such as Vanuatu, Samoa and the Cook Islands experience droughts as well as tropical cyclones, whereas countries in line with where the rain band moves get unexpected extreme flooding. 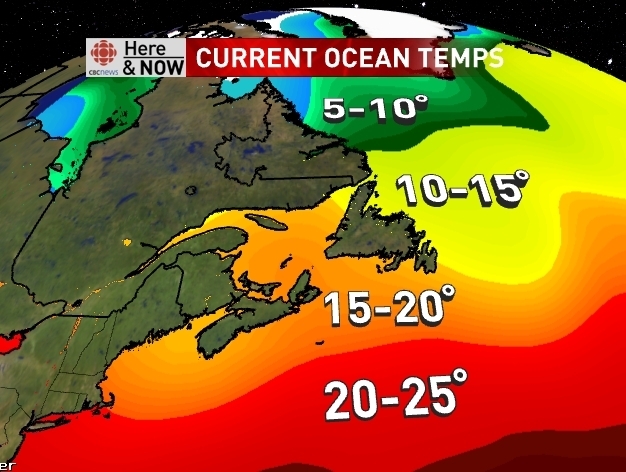 “During extreme El Nino events… the band moved northward by up to 1000km. The shift brings more severe extremes, including cyclones to regions such as French Polynesia that are not accustomed to such events.” CSIRO said the biggest issue would be to understand how the warming atmosphere and oceans would influence the intensity of such events. In what the National Oceanic and Atmospheric Administration (N.O.A.A.) has declared as the worst drought since 1956, with record setting temperatures exceeding those recorded in the Dust Bowl era, 2012 may prove to be the year that ushers in a new global food crisis that eclipses the one in 2001-2008 that ignited food riots in over 30 countries around the world. Long-term climate records from tree-ring chronologies show that this drought was the most severe event of its kind in the western United States in the past 800 years. Though there have been many extreme droughts over the last 1,200 years, only three other events have been of similar magnitude, all during periods of “mega droughts.” What’s frightening is that this extreme Drought could become the new normal: climate models point to a warmer planet, largely because of greenhouse gas emissions and planetary warming. The Northern Hemisphere has just recorded its 327th consecutive month in which the temperature exceeded the 20th-century average. This year had the fourth-warmest winter on record, with record-shattering high temperatures in March. And 2012 has already seen huge wildfires in France, Russia and US Western states. More than 3,200 heat records were broken in June alone. And that may be only the beginning, a fact that should force us to confront the likelihood of new and painful challenges. A mega drought would present a major risk to water resources in the world. There is still time to prevent the worst; the risk of a multidecade mega drought in the American West can be reduced if we reduce fossil-fuel emissions. But there can be little doubt that what was once thought to be a future threat is suddenly, catastrophically upon us. GreenDustries is reducing the “Carbon Footprint” through our products being used in the North American market and the European market. 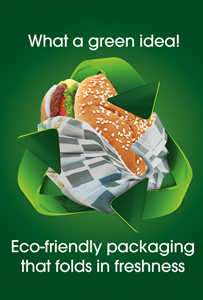 Simply by replacing the currently used packaging in the QSR/fast food industry and other segments of the “on the go” food market that use disposable non-“Environmental Friendly” packaging. Using our PleatPak and Magic Bag, a staggering positive impact on the Environment will be achieved: Air Pollution: Carbon Footprint will be minimized with savings over 50,000,000 pounds of carbon dioxide and other air pollutants produced in paper manufacturing and shipping. This represents over 840,000,000 cubic feet of pure air that will be saved each year!